AMINAH ABDUL RAHMAN, 53, originally wanted to be a musician. Back in 1984, she had enrolled in a music course with the Angkatan Pelukis SeMalaysia. The organisation (which began in 1956 as Majlis Kesenian Melayu) was then based in Jalan Tun Razak in an old bungalow. “There were several disciplines of the arts being taught there,” Aminah explained as she took a trip down memory lane four decades ago to describe her first steps to her current career. “At the time, APS was offering courses in fine art, graphic and music. I was very much in love with piano, so I had gone there to learn. Four decades today, Aminah, 53, is both the president of Malaysian Watercolour Society as well as the Honorary Secretary of the Angkatan Pelukis SeMalaysia. Currently having her first solo entitled “Roses for You” at the APS Gallery in 64 (1) Jalan Kuantan, off Jalan Tun Razak, Aminah said her artistic career had to take a backseat during the time when she was working for a large organisation. Life back then was not a bed of roses but despite the challenges, Aminah kept herself in touch with the artistic world by producing small bodies of works for group shows in the country and abroad. A solo was out of the question for her, she said. 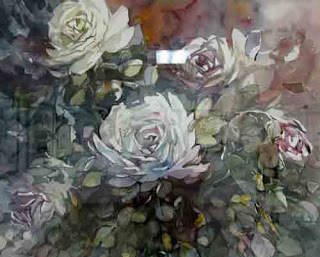 After quitting her job, Aminah headed out to Langkawi to learn from Saleh Dawam who was well known for his roses in watercolour. Aminah, who has been an APS member since 1986, had also learned the tools of the trade from old-timers like Khalil Ibrahim, Sani Md Dom, as well as Rafie Rahman. “When I was in my 20s, I used to join roadside artists doing portraits in Jalan Masjid India. My parents were alarmed when they found out what I did but fortunately they did not stop me from pursuing my dream,” said Aminah who is the youngest child of seven siblings. “At that time, I loved doing oil paintings of landscapes. 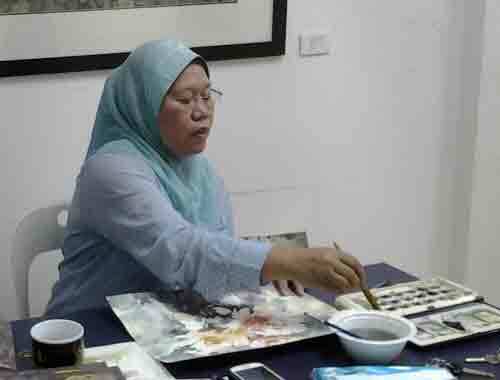 “However, I later switched to watercolour which I find to be more challenging,” she said.Aminah, who started out as a self-taught artist, did not have formal education in art until 1991. Why did she focus on roses for her first solo? 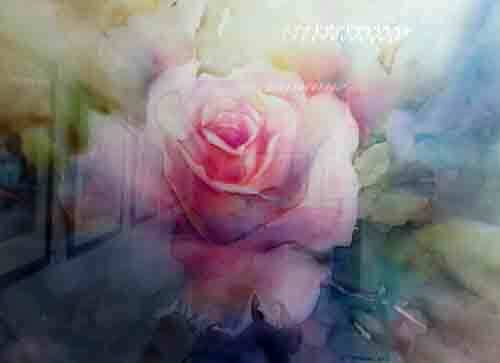 “I have always loved roses and to me it represents universal love. It is one flower that is easily identified for its significance,” she said. However, she said that her interest in roses as an artistic subject did not start until her trip to Kuntzstation Art Gallery in Austria in 2011. “I was part of the entourage of Malaysian artists who were given residency at the gallery. During my stint there, I painted in watercolour on ‘elephant-size’ papers. The technique I used back then was also different. 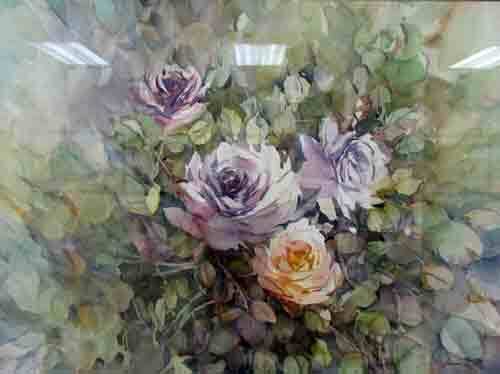 Instead of painting in the traditional approach, I was pouring watercolour,” she said. The stint in Austria later led to her joining more exhibitions at local galleries, including the Bank Negara, which is among her corporate collectors today. These days painting fills most of her time unless she had to run errands like tending to association meetings and helping to organise shows. Unlike some artists who paint a piece at a time, Aminah also prefers to work on three pieces at one go. “The process provides me with a bigger challenge as it keeps me on my toes for I have think very quickly on how to approach each piece as the painting develops, in terms of composition, colour and tonal quality,” she said.